The company has generously offered an additional discount with the Coupon Code TOSC-1. This will give you a 15% discount, making the price $16.95. Watch a clip of some of their titles. For anyone looking for an inspirational story, for historians, teachers and students, and for young and old alike this DVD featuring stunning photography and a superb original music score is certain to be watched again and again. Bonus: The site includes a free study guide and discussion questions. Very nice touch. The story of George Washington Carver is an amazing one. What an inspiration and testimony his story is. The more I learn about Carver, the more fascinating I find it. So, when this review came along, I jumped at the chance. I was so anxious to receive it and kept stalking the mailbox in hopes of it soon arriving. Finally, the day came and there was the DVD. Super cool. "Success does not depend on the style of clothes you wear or the amount of money you put in the bank, it is service to others that counts." The DVD is documentary style. Parts are narrated as a biography, parts as an autobiography. With narration, an original music score, some great photographs, and graphics. Lots of videos of nature, which Carver loved. Video clips of statues, museums, old photographs, old papers, etc. Kind of like a slide show with commentary. The show includes a sound clip of Carver speaking. You will notice that he had an unusually high voice. In the study guide mentioned above, you learn that it was that way because whooping cough had damaged his vocal chords. Booker T. Washington and George W. Carver were a great team, who did great things at the Tuskegee Institute. This shows just how amazing. 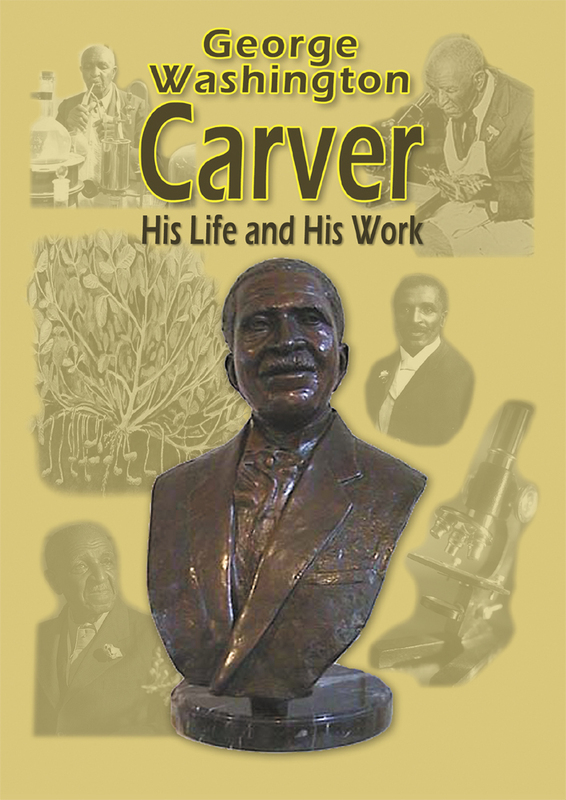 Carver didn't care about fame or fortune. He truly cared about making a difference and helping people, sharing his great discoveries. Booker T. Washington was known to say, "We ask for nothing we can do ourselves." You will have to judge if this style of film will hold your child's attention. Commentary style versus a drama-style performance. My 12 year old and I learned a lot from it. My 9 year old had some trouble focusing on it. Disclaimer: I received this item free of charge to review, as part of the TOS Homeschool Crew. The above is just my opinion. Please remember that opinions may, and do, vary. Other Games: Wits and Wagers - check out my review of the Family Edition! Say Anything Family is a game that will get the entire family talking and laughing in minutes. This family-oriented version of the popular adult party game gives players the chance to settle questions that have been hotly debated for centuries. For instance, “Which celebrity would make the worst babysitter?” or “What magical power would be the coolest to have?” The best thing about Say Anything Family: there are no right or wrong answers – just your opinions. This is every family’s chance to Say Anything. We reviewed Wits and Wagers last year and enjoyed it. So I was super excited to try out another game by NorthStar. This time around it is Say Anything the Family Edition. My mom was visiting, so she and my 2 oldest girls tried it out on their own. They glanced over the directions and got busy playing. But, they didn't seem too impressed with the game. I was surprised because I thought it sounded like fun. So I read over the instructions, explained a few basics, and invited my husband to play along. So now we had 5 players instead of 3, and we had a better understanding of the rules. The verdict this time? So much fun! The more players, the more fun. And it may take a few read-thrus to understand the gameplay. In a nutshell, one player asks a question and everyone answers what they think THAT person will pick. So for example, if the Dad asks "What is the best candy? ", everyone else will write down what they think Dad's answer will be. After Dad sees all the options, he picks his favorite answer and hides it. Then everyone else picks what they think Dad chose. Based on this, points are awarded. Points for writing the answer he chose, and points for picking the one he chose afterward. Then Dad also gets points based on how many people guessed his choice correctly. It only takes a few run-throughs before you get the hang of it. And we all enjoyed it a lot. My husband, my mom, me, my 12yo daughter, and my 9yo daughter. It is something that we can all play together, despite the wide age range, and still have a great time. It led to lots of laughs and discussions, and even memories. The game play is short, but can easily be adjusted to make it shorter or longer. So no need to worry about boredom setting in for the younger ones. My 9yo can get very restless with games after a short time, but not with this one. And she enjoyed it as much as the rest of us. This game was a hit at our house! Discipleship, Whole Books, and Real Life! WholeHearted Christian Home Education for Ages 4 - 14. Third Edition. God did not forget to include "school" in His biblical design for raising children; home education is a natural expression of all that God intended for parents and their children. 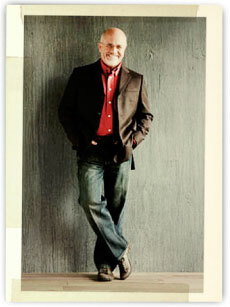 Clay and Sally Clarkson's Educating the WholeHearted Child is about rediscovering God's original design for the family. What you'll find in this book is a homeschooling model that makes sense. It's an approach that is based on sound biblical principles of nurture, discipleship, instruction, and learning. 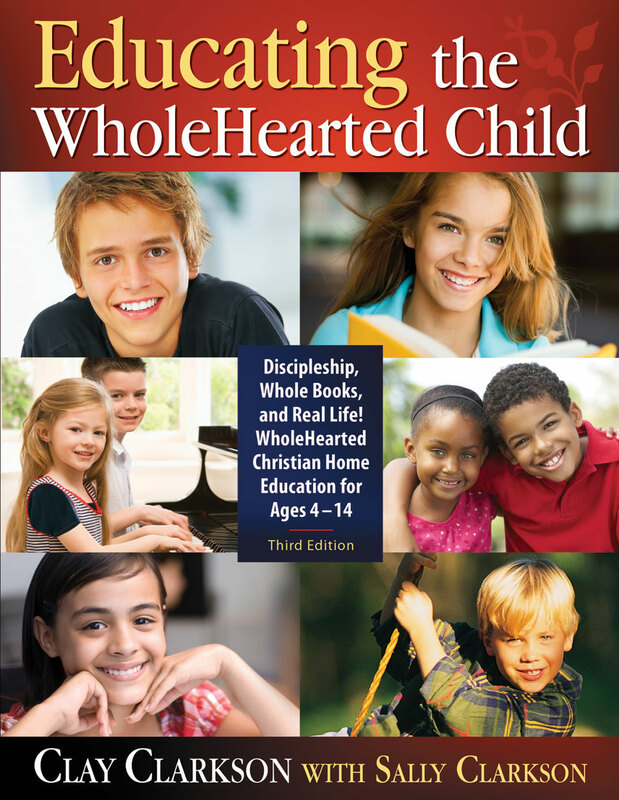 Newly revised and significantly expanded, Educating the WholeHearted Child is about much more than homeschooling; it is about life. Effective Christian homeschooling must begin with the sure foundation of a Christian home, and the Clarksons' uncomplicated, common-sense approach to life and learning will provide you with the tools you need to experience God's abundant blessings for your family. I have read several homeschool and parenting books over the years. I am guessing that most homeschooling moms have. Sometimes I gain a little bit of help from them, sometimes I gain a lot. Sometimes I get convicted; sometimes I get encouraged. I have read some of the Clarkson's books before and found them to be very worth the read. 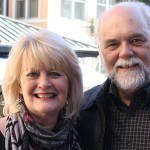 They are an amazing couple, doing amazing things for the Christian homeschooling community. When this book came up for review, I gladly volunteered. I was so excited to get it in the mail. This book is jam-packed with over 300 pages of helpful advice, insights, tips, lists, forms, etc. It covers most every area of a Christian homeschooling family's home: marriage, parenthood, fellowship, serving others, good literature, teaching, disciplining, etc. Sidebars are full of verses, quotes, and helpful stats. I LOVE quotes! Each section ends with "In Our Home". In this section, the Clarksons tell how they have handled things in their own home, with real-life experiences. This helps to inspire and to put things into perspective. Lots of helpful resources are included. And some great forms are in the back for you to duplicate. This book is HUGE and it is going to take me a while to finish it. But so far, so GREAT! And I am very thankful for it. For the encouragement, the wisdom, the insight, the personal experiences, the wonderful suggestions and examples. Thank you, Clay and Sally! Disclaimer: I received this book free of charge to review, as part of the TOS Homeschool Crew. The above is just my opinion. Please remember that opinions may, and do, vary. Manage your food budget and enjoy delicious dinner recipes at home. or diet preferences. Be meal-wise and money-wise with E-Mealz. E-Mealz generously allowed some of the TOS crew members to try out their ingenious program. I volunteered for two reasons. I wanted to add some variety to our dinners and I wanted to maintain some sort of dinner budget. I chose the Walmart Family Plan. Here are the details of this plan from the site - "You can hardly beat the prices at Wal-Mart SuperCenter! Wal-Mart does not offer weekly sales, but, the savings are consistent from week to week, and we take advantage of their regular Roll-back Pricing in our meal planning. If you are already a Wal-Mart grocery shopper, or you enjoy the convenience of their “one-stop shopping,” you will enjoy this meal plan and you will save even more money. We compile delicious, family friendly meals based the wide variety of produce and meats that Wal Mart SuperCenter consistently provides. The total cost for this weekly Wal-Mart plan ranges from $75-$85." Signing up is easy. Pick from several different option plans for couples and families, ranging from gluten free, to low carb, to vegetarian. Just pick the one that is the best fit for your family. On your designated day of the week (Walmart's is Thursdays), log in to the website and find the new schedule for the upcoming week of dinners, ready for you to print out. The print out is awesome. 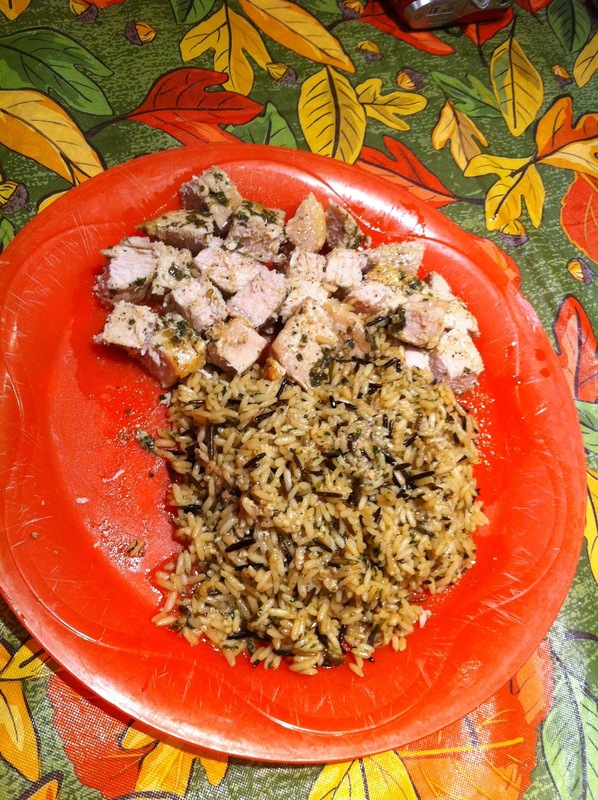 One page lists the meals by day, with ingredients and very detailed instructions. The next page is your shopping list, broken into departments such as meat or dairy. At the bottom, it lists all the staples they expect you to have on hand. Just in case you are out of them, you can quickly add them to your list. So how was the variety? Very nice variety. Throwing in some bread, veggies, and fruit. And also making frequent use of the crockpot, which I love! How was the shopping list? Very nice and organized by department. The staples are listed at the bottom of the shopping list. I think it would be nice if the staples were listed in the main shopping list, so that they are in the correct departments. That way if I didn't need them, I could cross them off. But if I did need them, I wouldn't be as likely to miss them. I also think it would be great if the shopping list was interactive, so that I could manually add other items that I needed to shop for, combining it all into one list. How were the prices? The plan that I chose ranges from $75 - $85 a week for 7 dinners. That is a little over $10/meal. Whether or not that is a good deal, depends on your personal budget. Of course, any coupons (which I am a big fan of) would bring this down more. How easy was the plan to follow? The recipe instructions were very thorough and easy to follow. I didn't have any problems figuring them out and everything turned out well. I found all the meals that we tried to be good. Of course, we liked some better than others. A new favorite at our home is the BBQ Chicken Salad. Since not every meal is going to be a winner, I think it would be great if the program offered an option to allow meal swaps. Maybe give 2 choices per day, allowing us to pick one. Or maybe have 2 "bonus" meals at the bottom that we could trade out for some that weren't our favorites. Overall, I think this program is a great idea. It takes the "brain-work" out of dinner meal planning. 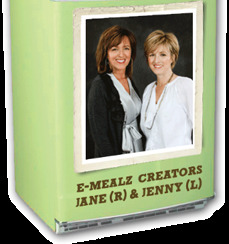 E-Mealz provides a dependable budget amount for each week. It adds some variety to dinner and comes with a prepared shopping list. Pretty cool idea. It does take some getting used to. But anything new like this has a learning curve. So it may take a few weeks to work all the "bugs" out. One thing different for us is that I usually make meals that have leftovers for the next day. But with this program, it is a different meal each night. Of course there are several ways to work with or around this. A Scoop of Laughter. A Scoop of Learning. If you choose our Learning Community set of social features, your daughter can interact with other members on Always Icecream. With this option, girls play "social" games, such as babysitting each other's pets or buying artwork from other members. Communication is moderated and we enforce strict guidelines about what communication is permissible on the site. 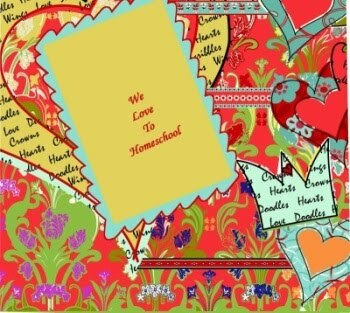 A large share of our members are homeschooled and many of the ideas for the educational content originate from the experience of the founders as homeschool parents. Always Icecream offers fun and relevant drills in core academic subjects embedded in a safe and loving community experience. Parents are also given the option to choose Christian educational content if they want to offer this to their daughters. She likes that you can watch a wholesome selection of YouTube videos. She enjoyed the variety of games. Her favorite was the dress-up game. She also liked that you could use your scoops to buy pets. Her favorite educational category was Language Arts. She did wish that you could do more with the pets that you buy. And she would prefer to able to walk from store to store. She likes the music videos. She liked the games that didn't earn scoops; she enjoyed them more. Her favorite educational category was Language Arts. She wishes that you could do more with the pets you buy. I like that the site is wholesome and friendly and "tame" for younger girls. The price is average, a little lower than some monthly-fee websites. The parent control center is nice, with some helpful features. I also like that is a quick educational thing that the girls can do to throw in a little extra review time here and there. 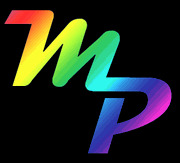 Check out this intro to the site. Try out the Free Trial and see what you think! 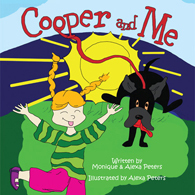 Cooper and Me is a delightful picture book about a young girl who is nervous as her first day of school approaches. She doesn’t want to go without her best friend, her beloved dog Cooper. Fortunately her mother finds the perfect answer! Packed with vibrant illustrations and rhythmic verses, this book addresses the anxiety children often feel before trying something new. I love the fact that this series was written and illustrated by an 11-year-old girl. How delightful. How nice to read a book for children, written by someone who is still a child, herself. The Peters are committed to helping young children. One way they are doing so is to team up with the Happy Hearts Fund (founded and run by Petra Nemcova), donating part of their proceeds to the Fund. Happy Hearts improves children's lives through education and sustainable programs in natural disaster areas. I think it is nice that the Peters are willing to donate part of their profits to benefit children in need. My 2 year old saw the book and claimed it as her own. She wanted me to read it and read it again. She listened and looked and asked questions. It was obvious that she was enjoying the story and the pictures. The book was a real hit with our little one. I think it will be a real confidence booster to those a little bit older, giving them a little more confidence in new and uncertain situations. It is a delightful story with a great lesson to share. Disclosure of Material Connection: I received one or more of the products or services mentioned above for free in the hope that I would mention it on my blog. Regardless, I only recommend products or services I use personally and believe will be good for my readers. I am disclosing this in accordance with the Federal Trade Commission's 16 CFR, Part 255: "Guides Concerning the Use of Endorsements and Testimonials in Advertising. The kind folks at Propeller are giving away a copy of this book to one of my lucky readers. Good luck. One winner will be selected at random on Oct. 19th. 1. Follow me on Google Friend Connect. 3. Share contest on your blog and leave link in comments. 4. Share contest on Facebook and let me know. Age Range: "If you can spell, you can play"
What if you took some of the known playing patterns of some of the most popular word games and puzzles in history and combined them in a brand new, unique format to create the World’s Greatest 3-D Word Game? 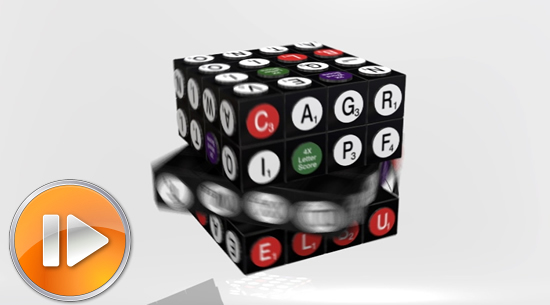 Well, you’d have the “SCRUBLE Cube™ a patent pending game with over 7.4 x 1045(that’s 7,401 septillion)possible configurations that anyone who can spell can play. And all in a portable format that can be played anywhere- anytime. 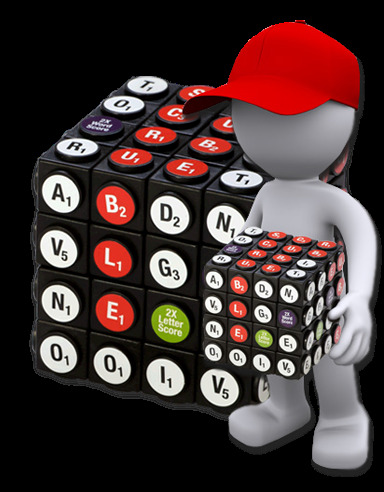 The SCRUBLE Cube™ is a word game and a puzzle- on steroids! I love word games, all kinds of word games. So the Scruble Cube sounded like lots of fun to me. My daughters could use some more spelling practice. So a fun way to encourage spelling sounded like a winning idea to me. So I was already excited before the Scruble even arrived. Once it arrived, I wasn't disappointed. It has a definite cool factor; the look is very unique. See the picture of it? Doesn't it just make you want to pick it up and start playing with it? Well, here is the thing. We all tried it out. (My husband, myself, our 12 year old, and our 9 year old). And then we tried it out again. Several times. But we just couldn't get into it. My husband and kids didn't particularly enjoy it. And I found it overwhelming. The directions tried to help. It came with a quick start guide, with helpful hints and tips. They were helpful. They did make it a little less stressful. But it just wasn't our thing. I hesitate to say that. Because I know many of the other families who reviewed the product loved it. So I hope that you will read more reviews, to help you make a decision. Read some of the stories of families who did think it "rocked". 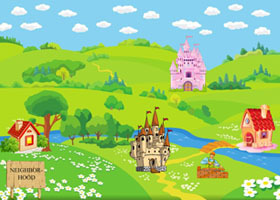 The site even offers activities and lesson plans, which I think is an awesome bonus. On a side note, several of us found it to be a good stress reliever to just sit there spinning the rows. Not trying to spell anything, not even really paying attention. Just relaxing and spinning the rows.